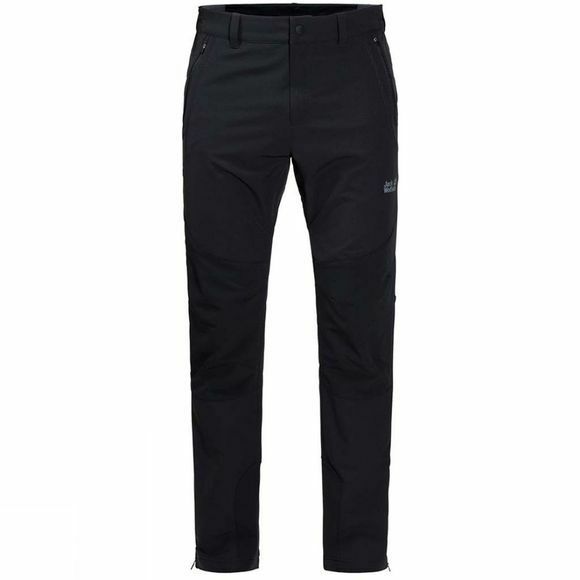 The Mens Exolight Mountain Trousers from Jack Wolfskin are custom-designed for mountain activities. The Flex Shield fabric is robust, very breathable and stretches as you move. These high-end trousers are reinforced at the knees, seat and ankles. When you're out for several days at a time on tough mountain terrain, kneeling on the ground to pitch your tent or sitting on a rock to take a break, little details like this make all the difference. They can also cope with the occasional light shower. 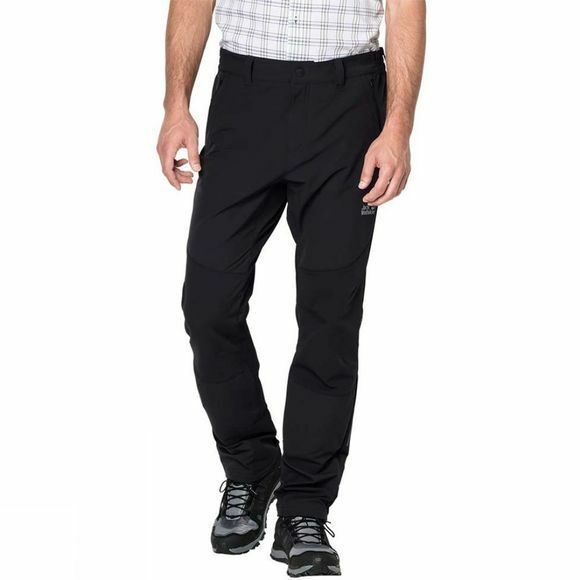 They have a slightly narrower, athletic fit, so if that light shower turns to heavy rain, you can simply pull your overtrousers on over the them. They were developed and tested in collaboration with the guides at the Alpinschule Innsbruck (ASI) and bear the "ASI Approved Product" seal of approval.